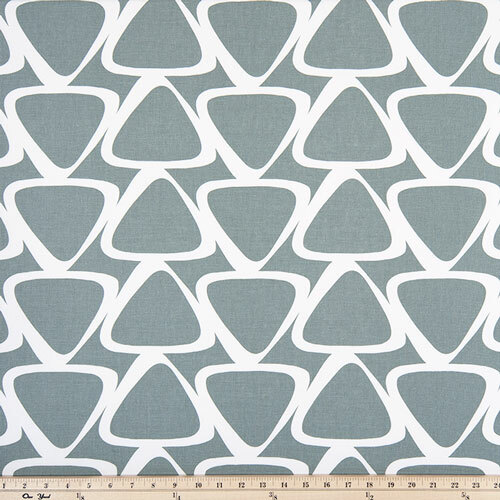 Try something different in your next makeover with Jace Sundown Grey fabric. Translating retro styling for the modern home, this fresh and unique print is the perfect way to inject new life into your decor. Consider this fabric as throw cushions, accent pillows, duvet covers or table linen accessories to work a little magic into even the most lifeless of spaces. Colors are gray and white.